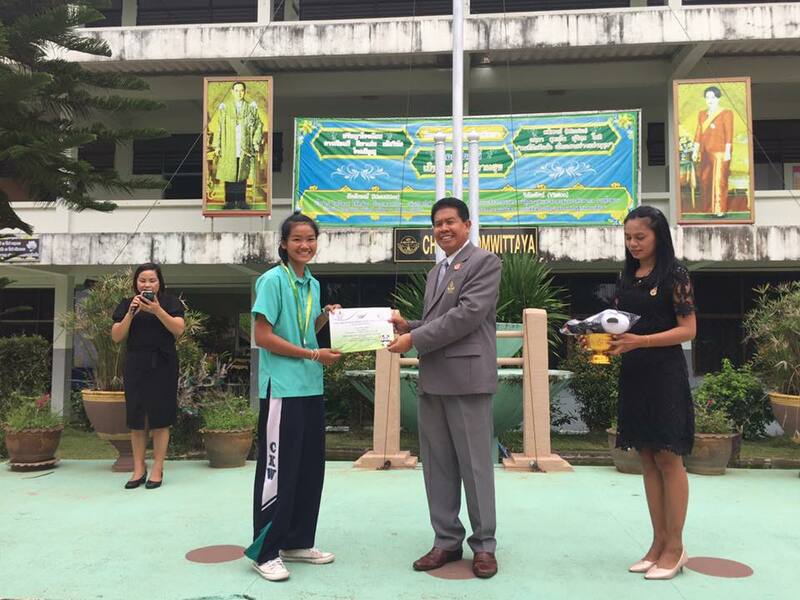 We, the Green-White family members, are very proud of “the Sport Hero” who is the only sport girl of Loei, Ms. Rungthip Nachairit, the Matthayomsuksa 6/1 student of Chiangklomwittaya Secondary School. 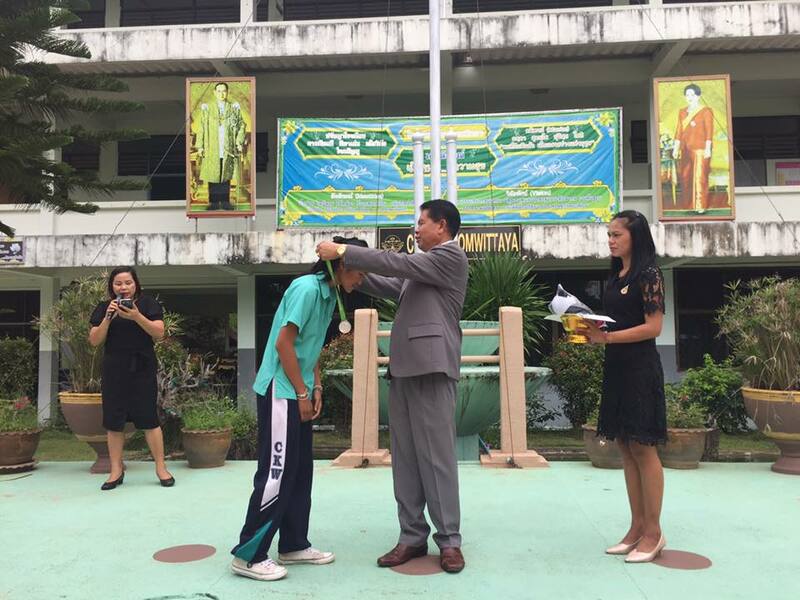 She is supported by Dr, Samrejwit Petsangkoon, Director of Chingklomwittaya Secondary School, Mr. Boontham Saenchak, the Chairman of School Committee and C.K.W. teachers. 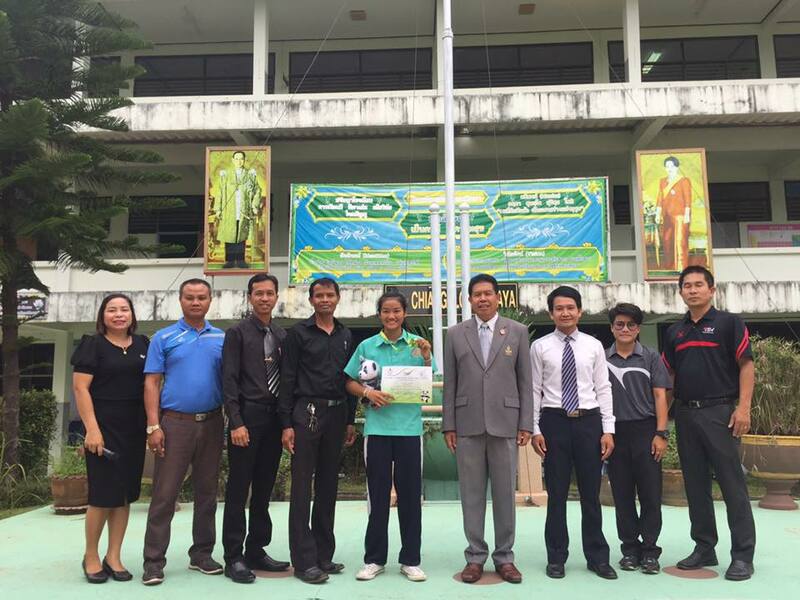 This activity is specially focused on Mr. Thirachan Dipan, the C.K.W. teacher and former national boxer. At present, he is the referee of amateur Thai boxing of Thailand and the Thai Fight. Ms. Rungthip Nachairit is now living in 88 Moo 5, Ban Kaeng Pla Pok, Tambon Chomcharoen, Amphoe Pakchom, Changwat Loei. - Bronze medal, female amateur international flyweight boxing (51kgs.) at the 33 rd National Youth Sports Competition ( Bungkan Games) in Bungkan province and a representative of the 33 rd National Youth Sports Competition ( Chumpon-Ranong Games) in Chumpon province. - Bronze medal, female amateur international flyweight boxing (51kgs.) at the 45 th National Sports Competition ( Mahasarakham Games) in Mahasarakham province and a representative of the 45 th National Sports Competition ( Songkhla Games) in Songkhla province during 20-30 June 2017. 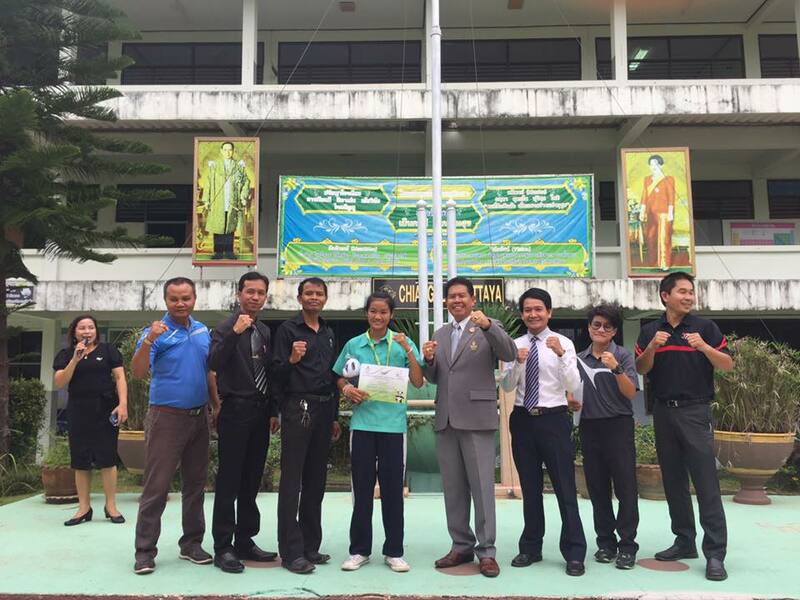 - Gold medal, female amateur international flyweight boxing (48kgs.) at the 2017 Final Sports Competition in Loei province. 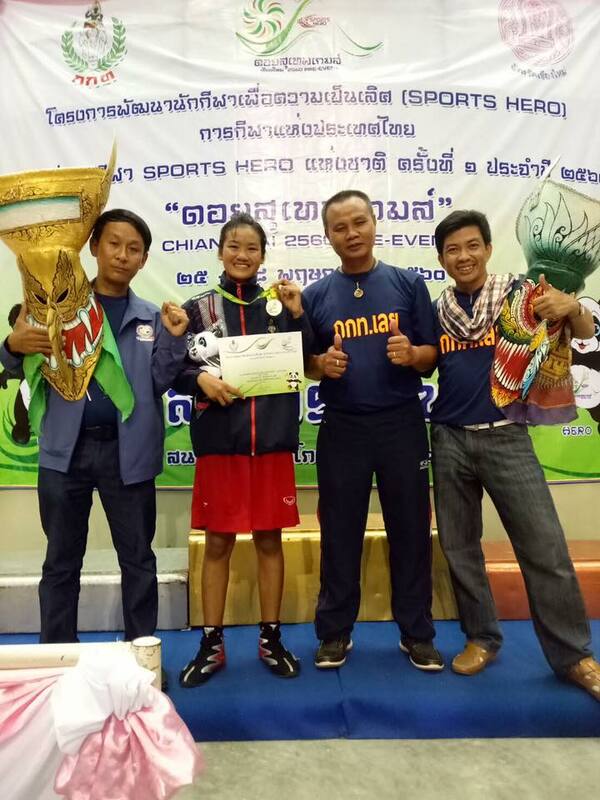 - A female amateur international boxing sports woman at the 2017 Sports Hero Project under the Sports Authority of Thailand and joins the 1 st National Sports Hero Competition in Chiangmai province during 25-28 May, 2017.